Rain, wind and bold colours. That is Autumn, well usually anyway. This year there hasn’t been much rain (the Netherlands is experiencing a severe draught) and the otherwise normal temperature drop has been postponed too, apparently. With temperatures of up to 27 degrees in mid-October we were having a very unusual Autumn. The leaves did change colour though, even with those high temperatures and an abundance of sun. 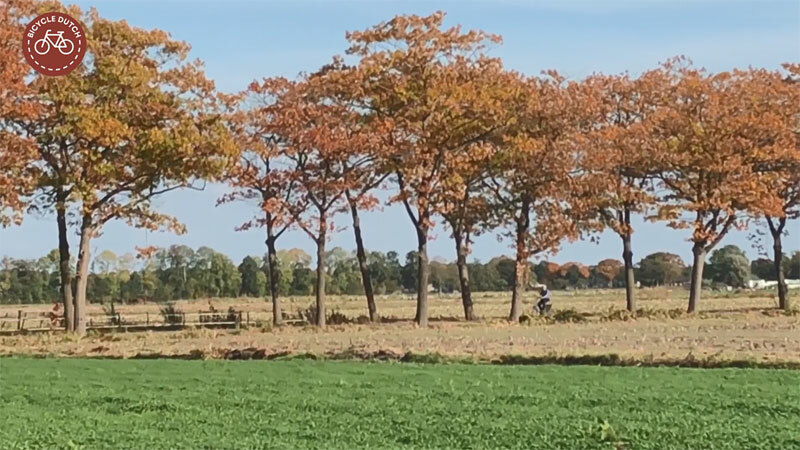 It gave me the opportunity to film people cycling wearing short sleeves and sometimes even shorts in a backdrop of the boldest autumn colours. Young and old went for a ride on a beautiful warm autumn Sunday. 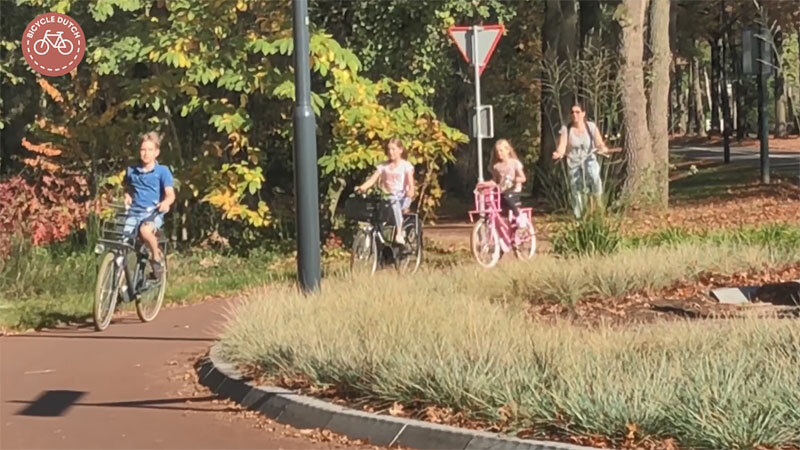 This mother with her three children cycled in Vught. Cycling under a canopy of bright colors in Cromvoirt. The average temperature in the Netherlands for October is 10.7C. That doesn’t mean we can’t have much higher temperatures than that, but experiencing an Autumn day with 27C is extreme. Unfortunately, extreme weather seems to be the new normal all over the world. Of course most people know and acknowledge what’s causing this, and it isn’t cycling! 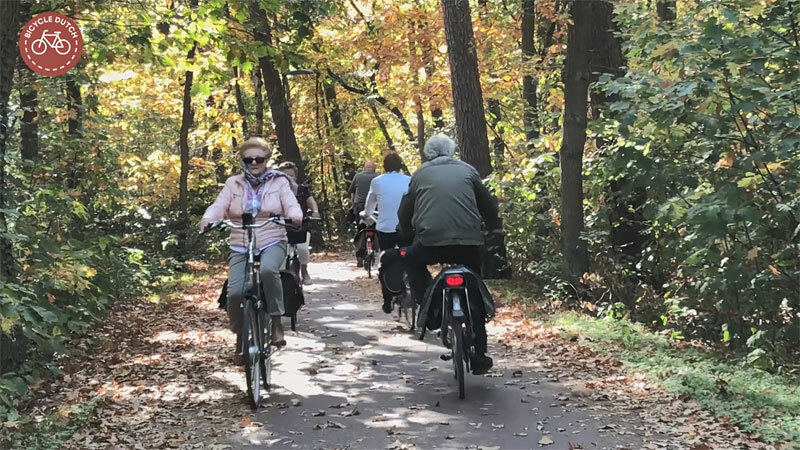 With so many elderly enjoying a ride out it became quite busy at times in the forest around Vught. A treeline in the countyside of Berlicum. That’s all for this week’s short post. Enjoy the beautiful images in the video that I filmed in the surroundings of ʼs-Hertogenbosch, in the forest of Vught and the countryside of Berlicum on Saturday 13th October last. It has cooled a bit since that day but we’re still not having “real” autumn weather. 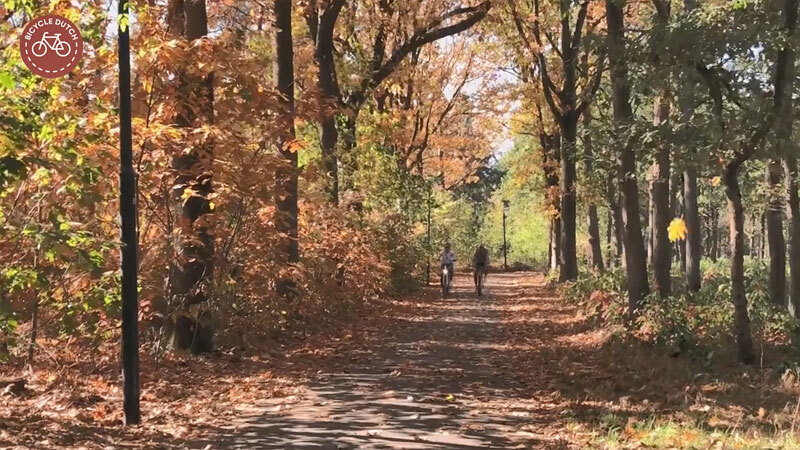 A warm Autumn day in October 2018. Lovely video. Thank you for the continued inspiration! We had those temps mid Oct, even in the UK! The word surreal is an.often misunderstood and mis-quoted word these days but that is exactly how it felt riding sleeveless on a carpet of fallen leaves along the trail to the shop. Yes, we’re really beginning to feel the effects of Global Warming. It’s a shame that responsible countries like the Netherlands suffer the same results as the irresponsible countries like the US. The only real question anymore is how fast it will accelerate. There are some very dire predictions. Although the Netherlands might be less irresponsible than the US, we are far from innocent in this regard. We are lagging behind with adoption of renewable energy. We keep on flying more and more. And we still drive a lot on one of the densest motorway networks of the world. Envious! Thanks for the share. 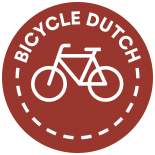 This entry was posted on 23 October 2018 by Bicycle Dutch in Original posts and tagged autumn, ’s-Hertogenbosch (Den Bosch), Berlicum, Vught, watching people cycling.